Arizona Wholesale Supply carries a vast array of affordable, beautiful cabinet styles. Our full time design team will help you find the perfect cabinet style and color for your home. Our cabinets can be used in any room of your home from kitchens, bathrooms, laundry rooms, closets, home offices and so much more. At AWS we have selected the brands we carry because they are top quality products with great craftsmanship and provide excellent customer service. OakCraft offers a collection of elegant cabinetry for the entire home! For almost a half a century, they have been creating unique, highly designed custom and semi-custom cabinets. Their hand-crafted products fit any design requirements or budgets to create a truly one-of-a-kind look in a home. Combining superior craftsmanship and advanced technology, OakCraft delivers a full range of quality products that cater to all of your needs including cabinets, vanities and built-in furnishings, to innovative accessories and storage solutions – you will love the many benefits of their custom and semi-custom cabinetry and storage solutions that are available for the entire home. Legacy invites you to start a tasteful tradition with cabinets that artfully combines quality and efficiency. Legacy cabinets are professional created and constructed in their state-of-the-art facility, located in Alabama, using top techniques and building materials. The look you want is easy to achieve between their Debut and Advantage series, with a combined offering of over 80 door styles, dozens of colors and beautiful upgrades. Whether you’re creating a new kitchen, completing a room or adding storage capacity throughout your home, Legacy has the perfect cabinet style for you. 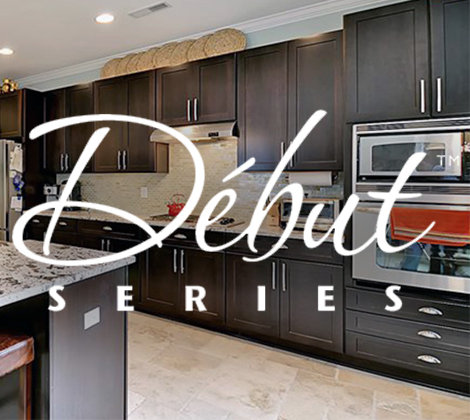 The Debut Series of cabinets create a comfortable elegant setting with an unending array of design options and accents. Features that include varying depths, extended stiles, flush finished end options, valance options, and specialty molding. As well as a vast array of durable, environmentally-friendly paint finishes. 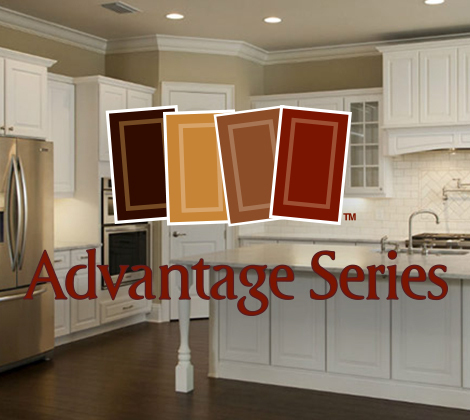 The Advantage Series of cabinets delivers the styling and quality your home deserves in an affordable cabinet you’ll be proud to own. So many choices await you; fourteen distinctive door styles in a combination of oak, maple, and thermafoil, varying depths, and a rich assortment of accessories and finishes. With the Legacy Advantage Series you get freedom of choice, plus elegant craftsmanship at any unbeatable price. From design through installation, our talented team can bring any room to life through your cabinets. Come check out all our available door styles and color options at our Phoenix showroom today. To guarantee you can speak with one of our designers, simply fill out the form below or call ahead of time to schedule an appointment.